Upon receiving a letter from community leaders requesting assistance with the Barcelona community’s Jewish education, Centro Kehila, a the Spanish language division of the Halacha Education Center, began development of an innovative project that will both help the Barcelona community, and create a model for future projects that can assist other small communities throughout the Diaspora. In-service Leadership Training: Centro Kehila will offer training programs serving local teachers, young adults and youth group madrichim. Programs within this category will prepare the community for the future by training teachers to better engage students, and giving young leaders a stronger connection to the Jewish people while developing their leadership skills. Educational Programming: Volunteer madrichim and Centro Kehila staff will implement educational programming for various age cohorts using materials developed by Centro Kehila and its parent organization, the Halacha Education Center. Centro Kehila and the Halacha Education Center’s materials include text books and multimedia products such as games and videos. Community Trips: The program will include educational-focused trips for adult community members embracing the rich Jewish history of the community. These programs will explore areas important to Jewish history, such as the town in which Maimonides lived in. The project includes a variety of innovative educational tools and models. Students will learn using specially designed apps by Centro Kehila and the HEC, and Skype chavruta, while also forming personal connections with Israel through the Israeli volunteer counselors. Volunteers from Israel will be hosted and supported by the community of Barcelona. 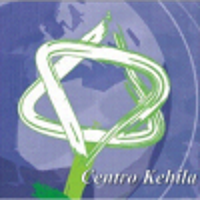 The potential for the Barcelona Kehila Project to act as a model for future initiatives that breathe new life into smaller communities is one that deeply excites the Pincus Fund, and we are proud to be joining Centro Kehila in this initiative.